[Updated: 9:40 am ET] Vertex Pharmaceuticals wowed the cystic fibrosis community earlier this year with its new drug that improves lung function for patients with a rare form of the inherited disease. Now it’s gathering evidence that it could extend the drug’s benefits to many more people. The Cambridge, MA-based company (NASDAQ: VRTX) is announcing today that a combination of its ivacaftor (Kalydeco) therapy and an experimental drug called VX-809 was able to provide a significant improvement in lung function for adult patients with the most common genetic mutation in CF, known as F508del. 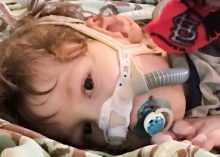 (Ivacaftor is currently approved to treat patients with a mutation called G551D, which affects about 4 percent of people with CF.) The data is based on an early peek at an ongoing study, and only includes 48 patients out of 108 expected to enroll, so it’s far from the final answer researchers are looking for. But it’s enough of an encouraging sign that Vertex plans to advance the combo regimen into the third and final phase of clinical trials normally required for FDA approval, after it analyzes the final data this summer. [Updated with stock movement.] Vertex shares shot up by $16.26 a share, or 44 percent, to $53.67 after the opening of trading today. “I’m encouraged, and I’d be very, very happy if these data hold up to the end of trial,” says Michael Boyle, the director of the Johns Hopkins Adult Cystic Fibrosis Center, and the study’s lead investigator. Cystic fibrosis, the result of mutations to a gene called CFTR, causes the poor transfer of water and salt across cell membranes, which leads to the buildup of thick, sticky mucus in the lungs. That effectively suffocates people over time, and often ends up killing people in their late 30s or early 40s. Doctors have made significant progress over the years through improved treatment of CF symptoms, but in January, Vertex’s ivacaftor became the first FDA-approved therapy that works by targeting the CFTR protein directly; the drug helps prop open these cellular gateways to allow better transport of ions across cell membranes. The problem for most people with cystic fibrosis, though, is that their genetic form of the disease prevents CFTR proteins from getting close enough to the cell surface to benefit from the effect of ivacaftor. That’s where VX-809 enters the picture. It is supposed to work by helping shuttle the CFTR protein toward the cell surface, where ivacaftor is opening the doors to effective transport. If the two drugs are found to be effective together, it could be another major advance for cystic fibrosis. “There’s a ton of enthusiasm in the community, because of the success with Kalydeco, and because we don’t have any other therapies that address the underlying cause,” Boyle says. The data is still preliminary, though. Researchers saw that 17 of 37 patients (46 percent) who started on VX-809 and then got a combo of VX-809 and ivacaftor had at least a five percentage point absolute improvement in lung function after 56 days. While that benchmark is considered clinically meaningful, Boyle says he was even more impressed to see 11 of the 37 patients (30 percent) experience a 10 percent absolute improvement in lung function. None of the 11 patients receiving a placebo in the study reached either threshold of lung function improvement. That means the difference between those on the new drugs and the placebo was both statistically significant (not a fluke) and clinically important, Boyle says. 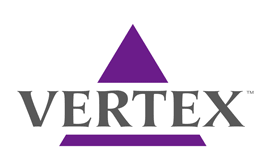 The adverse events in the study were mild to moderate, and comparable between those on the Vertex drugs and those on the placebo, the company said.